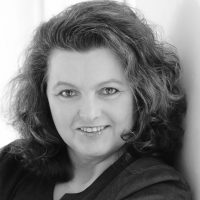 Natascha Pösel M.A., Team “Ocean Atlas”, Heinrich-Böll Foundation Schleswig-Holstein, has a background in humanities and works as an independent editor, freelance copywriter, and author. Among other things, she uis an expert on marine protection. She lives and works in Kiel, Schleswig-Holstein. The combined crises of global warming, pollution, and overfishing are laying waste to the oceans. International action is needed to rescue them.